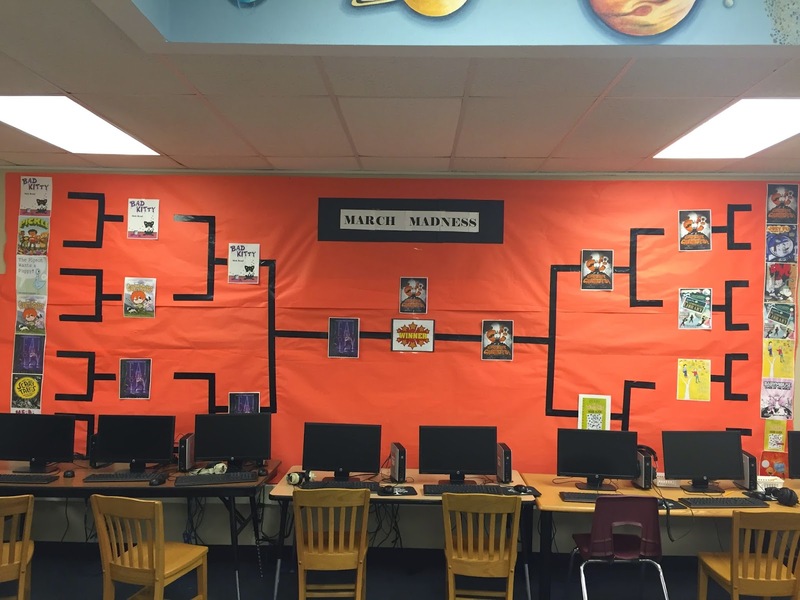 We just crowned the winner of our March Madness book bracket title after a 4 week voting process! I originally saw this idea through my PLN on Twitter. Lots of schools have been doing this and I jumped on the bandwagon a little late this year. I ran a report through our management system of the 16 books that had the most checkouts so far this year and was pleasantly surprised there was a mixture of Fiction, Graphic Novel and Picture books. I paired them up and made a large bracket on the library wall. Then I made a bracket using word and saved it as an image and a PDF. I then put the image on my library webpage along with a link to a google form for students to submit their predictions and the PDF in case they wanted to turn in a paper copy of the bracket. I gave them a week to submit their brackets and this is the part that I would like to start earlier next year. We started the week we came back from spring break and next year, I think I want them to submit over the week of spring break. The next week, I unlinked the prediction google form and linked up a voting form where students could vote on the book they wanted to advance to the Elite 8. We reminded the students to vote everyday on the announcements. The next Monday, we put up the pictures of the Elite 8 books and a new google form and let them have the whole week to vote again. This last week, I let them vote on the Final 4 from Monday-Wednesday and then the Final book Thursday and Friday. Today on the announcements I announced that Creepy Carrots by Aaron Reynolds was the winner. We had Aaron visit last year and I love that they still enjoy his books. I don;t know if you can see on the picture, but it came down to Dead City by James Ponti and Creepy Carrots. Using google forms for the voting made it very easy to see who won from each pairing. There is a "view summary" button that puts the information into a pie chart. 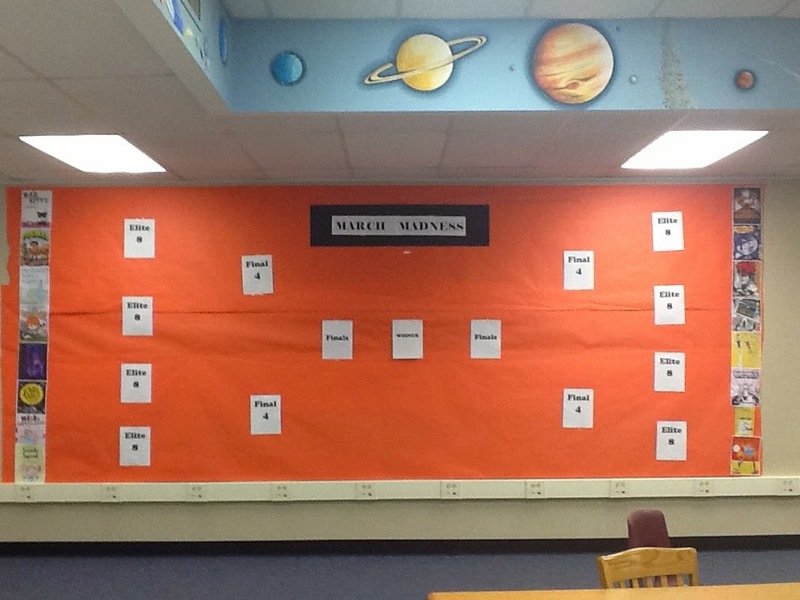 This was a really fun way to promote books in our library. Even though they were already the most popular books, I still had kids coming in to check out "the books we can vote on". I had also told the students that the person who had the highest point total in their prediction brackets would get a $25 gift certificate to our May book fair. I get to announce that on Wednesday! Live it's easier than you think to project the four Little. meeting tournaments that will be held at throughout the week. Would you mind sharing your Google Form with me? I completely understand if you do not want to. I love your idea!